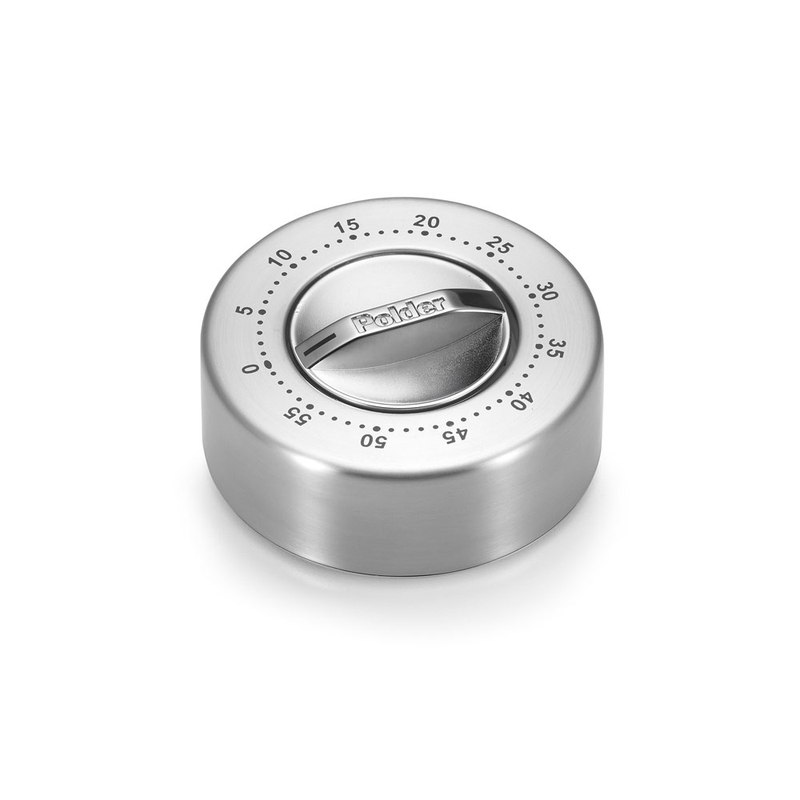 The Polder Stainless Steel 60-Minute Mechanical Kitchen Timer is designed to read in one-minute increments. Features a loud four-second alarm with 60 minute capacity. Brushed steel construction for a solid feel. Includes a magnet on the back for vertical wall mounting.